Anderson University President John Pistole recently announced the appointment of Dr. MaryAnn Hawkins as the next dean of the School of Theology and Christian Ministry. Hawkins will succeed Dr. James Lewis upon his retirement. She will begin her responsibilities as the first female dean on July 1, 2016. Hawkins has been on the faculty of the School of Theology as professor of intercultural studies for ten years. She came to the School of Theology from both congregational and academic ministry and missions, including her assignment as the first academic dean at Kima International School of Theology. 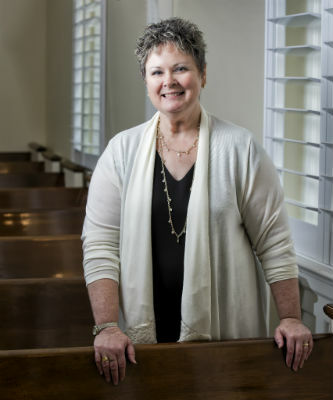 She has served on campus as faculty, dean of the chapel, associate dean, and director of the doctor of ministry program. Hawkins earned her PhD in intercultural studies from Fuller Theological Seminary and is an ordained minister in the Church of God. Lewis came to AU in 1992 as assistant professor of Christian theology and ethics and served in a joint appointment with the undergraduate department of religious studies and the graduate seminary. He was later appointed full time to the faculty of the School of Theology and was promoted through the ranks to full professor, associate dean, director of the doctor of ministry program, and then dean of the School of Theology. Anderson University is a private Christian university in central Indiana. Anderson University continues to be recognized as one of America’s top colleges by U.S. News and World Report, The Princeton Review, and Forbes. Established in 1917 by the Church of God (Anderson, Indiana), Anderson University offers more than 60 undergraduate majors and graduate programs in business, music, nursing and theology. This entry was posted in All Church of God, Colleges & Universities and tagged Anderson University, AU, Christian ministry, dean, MaryAnn Hawkins, School of Theology, SOT. Bookmark the permalink.